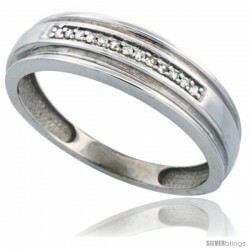 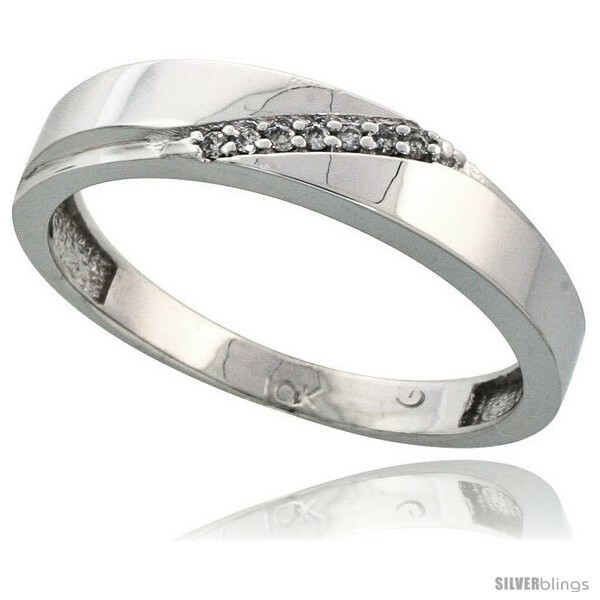 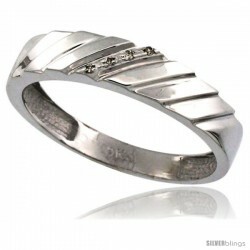 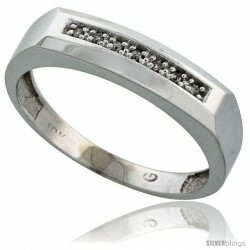 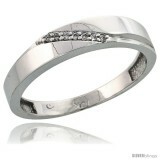 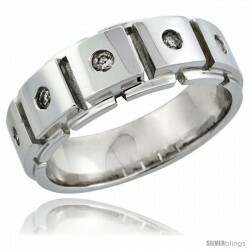 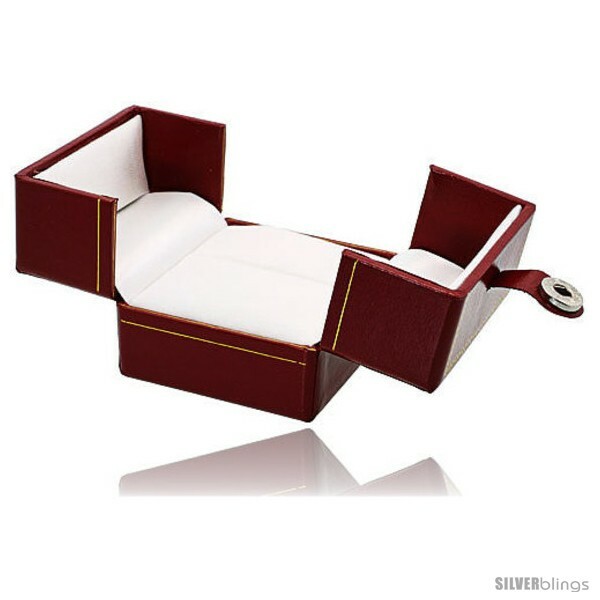 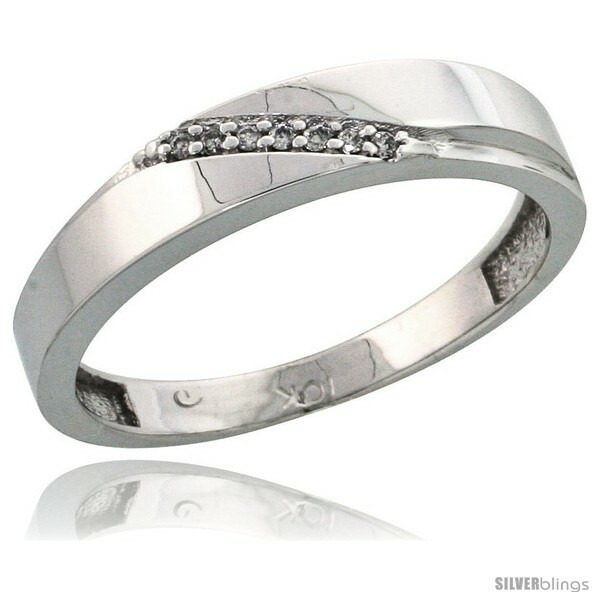 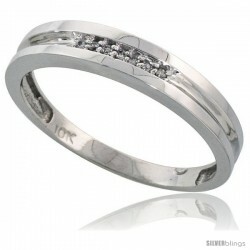 This handsome Men's Band crafted of 10k White Gold exudes confidence. 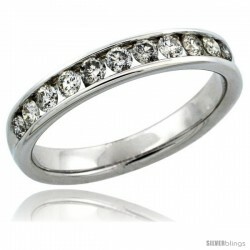 This Stunning Gent's Diamond Wedding Ring is of excellent quality workmanship Made in the USA in Solid 10 Karat Gold and set with Genuine Diamonds with a very nice finish to produce a nice look at very reasonable prices. 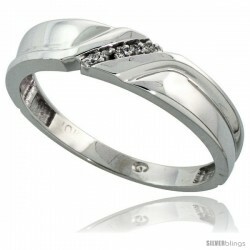 We carry a wide range of sizes, from 8 to 14 including Half Sizes. 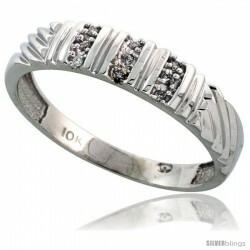 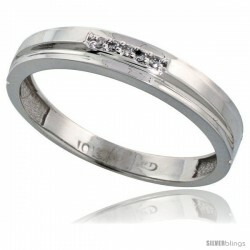 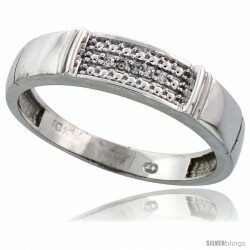 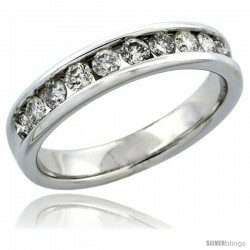 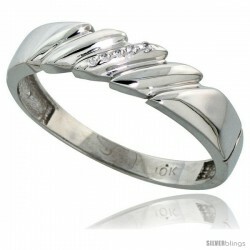 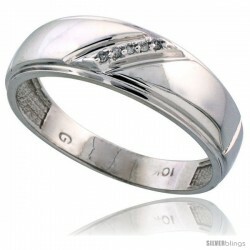 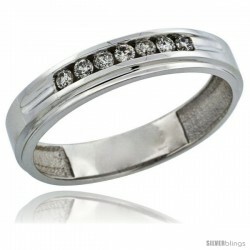 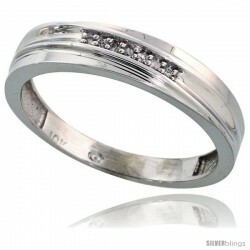 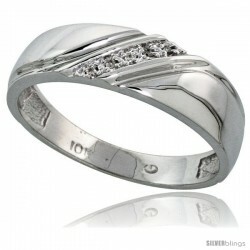 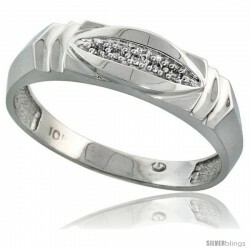 Matching ladie's Diamond Wedding Ring & Engagement ring sizes 5 to 10 are also available. 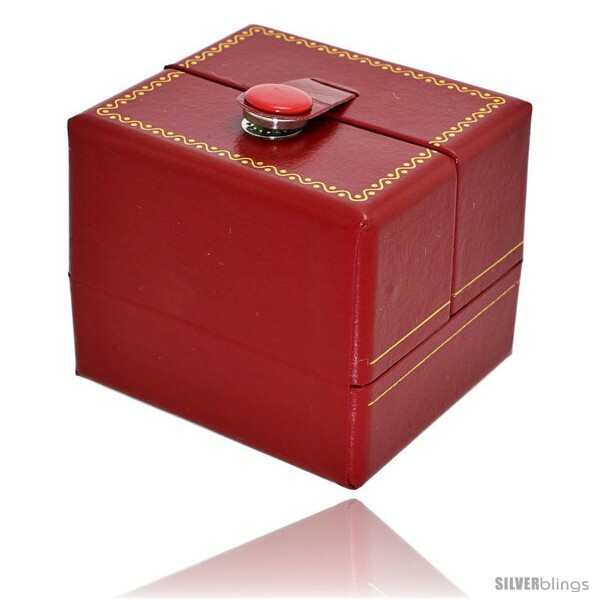 Smaller or Larger Sizes may also be available for a nominal fee. 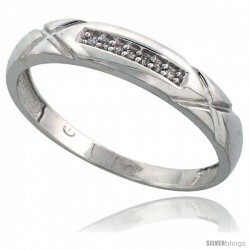 Please feel free to contact us Thru the ‘Contact Seller' link with any concern or questions. 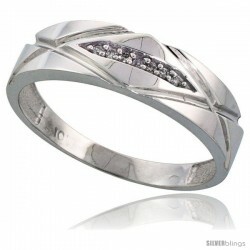 We DO NOT use Blood Diamonds (Diamonds mined in war zones in Africa, also known as Converted, Conflict, Hot or War Diamonds).